Your Ford F-150 is more than capable of handling almost anything life throws at it. The key to making sure your truck can handle it is really just having a bit of knowledge of where the limits for your truck are. With this blog post we will examine one of the more technical aspects of your Ford pickup truck — how to tow with it. Believe it or not, this is a much more involved topic than you might suspect. Fortunately, you’ve already made one right choice on your way to hauling anything you want — you picked the Ford F-150, the highest rated in its class for towing. When fitted with the proper towing package, the F-150 can haul up to an incredible 12,000 pounds, or basically anything that you’ll need it to tow. 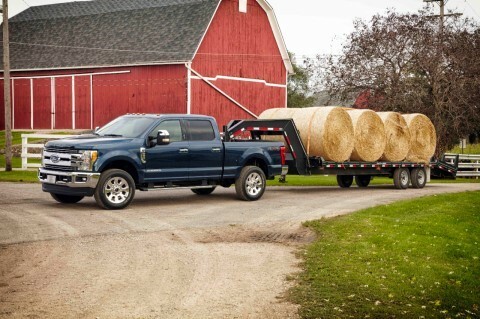 Read on for the basics of what you need to make sure that your Ford F-150 can haul anything. Of course, the best way to be sure that you’re doing the right thing when it comes to towing a trailer or anything else is to start by consulting your owner’s manual. This is not a substitute for doing so. However, we do want to provide some basics to point you in the right way. Let’s get started with some definitions. Towing Capability: This is the total weight a vehicle can tow. The total weight is a function of the total amount of engine power, transmission type, number of drive wheels, axle ration, and the wheelbase of the vehicle. If you are planning to buy a vehicle for towing, be sure to review the manufacturer’s towing guides for appropriate combinations. Gross Vehicle Weight Rating (GVWR): This is the maximum weight that a tow vehicle can be when it is fully loaded up. Gross Combination Weight Rating (GCWR): The combined maximum weight for the tow vehicle, which includes its passengers, equipment, fuel, and the trailer itself. Gross Axle Weight Rating: Simply, the maximum weight that a single axle can carry. These four different ratings will help you understand what to look for in a tow vehicle, but it doesn’t exactly clarify what to look for in a trailer. Fortunately, trailers are also broken down by 3 different criteria. Gross Trailer Weight: The maximum combined weight of the trailer and its cargo. Gross Tongue Weight: The maximum weight that can be exerted on the hitch ball by the coupler. This is generally around 10% of the gross trailer weight. Hitch Type: There are usually just two types of hitches; weight-carrying and weight-distributing. The difference is primarily in the weight that can be supported. Regardless of whether you choose a Ford F-150, a different F series truck, or any other pickup truck, there are two essential parts that must be present for your truck to be able to actually tow anything. You need to be sure that your truck has a ball mount and a ball. Other parts like trailer brakes and safety chains will help you stay within the law but may not be necessary. Consult with your local Ford dealership to be sure of what you need. In general, trailers are usually 1 of 4 different categories. Flat Bed: Also called an open trailer, these have an open body in the form of a platform. It does not provide full coverage, as there are generally only walls around the sides but no roof. Boat Trailers: These are designed to launch, retrieve, carry, and even occasionally store a boat. Enclosed Trailers: These generally refer to any non-powered vehicle that is towed by a powered vehicle. They are similar to flatbed trailers but have walls and a roof too that entirely contain their contents inside. Recreational Vehicle Trailers: Also known as a travel trailer, caravan, or camper trailer, these are all towed behind a powered vehicle and provide a place to sleep. This can be further broken down into 3 sub-categories, as seen below. Folding Camping Trailers: Lightweight, easily maneuverable, and relatively inexpensive. These trailers are usually attached to their truck by way of a conventional, weight-carrying, hitch. Conventional Travel Trailer: Roomy, comfortable, and generally luxurious, these generally larger trailers are made of rigid construction and are normally between 12 to 35 feet long. These trailers traditionally attach to the vehicle by way of a conventional weight-distributing hitch, depending on the weight of the trailer. Fifth-Wheel Trailer: These are very similar to that of a conventional travel trailer but have a forward-raised portion that extends over the box of the pickup truck. As such, enhanced weight distribution and towing dynamics are required due to the trailer weight being placed directly over the towing vehicle. Each of these may vary tremendously in design, size, and shape, and as such it is important to refer to your owner’s manual for specific questions. Class I – Light-Duty: This best describes trailers that are used to tow light weight items, like bicycles, camping racks, motorcycles, and even small cars and trucks. They are attached through a conventional weight-carrying hitch. Generally, these trailers have a 200 lb. Gross Tongue Weight and up to 2,000 lb. Gross Trailer Weight. Class II – Medium-Duty: Use these trailers for single-axle, small to medium, trailers that are up to 18 feet. Typically, these are used on smaller cars, trucks, and even SUVs. They usually do not require a conventional weight-distributing hitch, though some vehicles may specify otherwise. These trailers generally have a 350 lb. Gross Tongue Weight, coupled with a 2,001 to 3,500 lb. Gross Trailer Weight. Class III – Heavy-Duty: Primarily used for dual-axle or very large single-axle travel trailers, these trailers should only be used on properly equipped trucks and SUVs. They do not require a conventional weight-distributing hitch, unless specified for a particular vehicle. Typically, these trailers see a 500 lb. Gross Tongue Weight, and 3,501 to 5,000 lb. Gross Trailer Weight. Class IV – Extra-Heavy-Duty: This category includes the largest of travel trailers, including the fifth-wheel trailer. They are used on trucks and SUVs, as most vehicles in this class can be equipped to handle trailers. In most instances, these trailers require a conventional weight-distributing or fifth-wheel hitch. While they are not all 100% necessary, we strongly recommend that you consider each of these items when you approach towing for yourself. Trailer Wiring Harness: Many vehicles that come equipped with a Trailer Tow Package include a trailer wiring harness and even a wiring kit. If yours does not, be sure to speak to your Ford Dealership. This equipment is necessary when trying to engage your trailer’s lights, which may be mandatory depending on where you are. Trailer Brakes: Depending on where you live, this may or may not be mandatory on trailers with a load that exceeds 1,500 pounds. Mainland Ford, as well as the Ford Motor Company, highly encourage that a separate functional brake system be used on any towed vehicle — including dolly towed or tow bar towed. Electronically Controlled Brakes: Typically found with a control box installed within arm’s reach of the driver, these provide trailers with brake control that can be applied manually or automatically. Surge Brakes: These are independent hydraulic brakes, activated by a master cylinder at the joint of the hitch and trailer tongue but are not controlled by the tow vehicle’s braking system. The hydraulic brake should never be connected directly to the trailer’s hydraulic system. Trailer Lamps: Your trailer should be equipped with all necessary lights for vehicles on the road. Do not directly connect your trailer’s lighting system to the vehicle’s lighting system either. Safety Chains: Consider these mandatory. They help to keep the connection between your trailer and your truck, doubly so if the trailer coupling or ball separates. Your owner’s manual will contain all necessary safety chain information. Do you have questions about towing with your Ford F-series pickup truck? Contact Mainland Ford today! 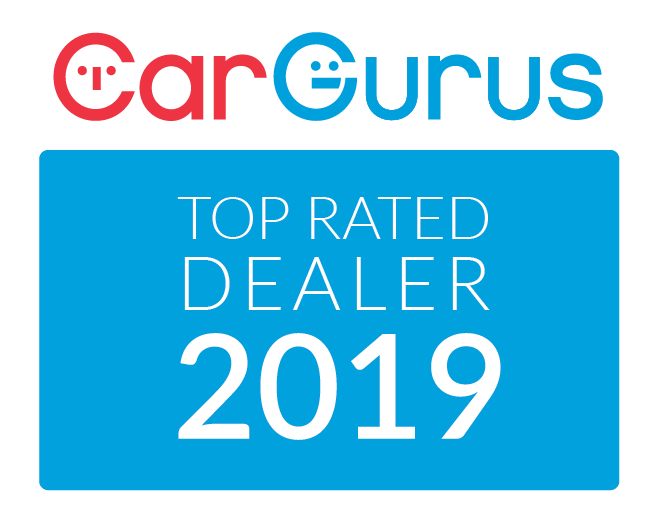 Our dedicated experts will help answer any questions that you may have and will make sure that you leave the lot safely able to haul whatever you need!